Many old German films are threatened with chemical decomposition. This was pointed out in 2013 by the petition “Film Heritage in Danger”. What has happened since? “If politicians continue to ignore the progressive chemical breakdown of our film holdings, we shall have to reckon in the coming years with the loss of most films of the previous century.” These were the opening words of a widely noted call for the preservation of Germany’s film heritage issued in November 2013. It was followed by a petition to the Bundestag calling for 500 million euros by 2020 to support the transferal and digitalization of films threatened by decomposition – easily flammable nitro-film on celluloid from the first fifty years of film history or negatives and their copies with a life expectancy of about forty-four years. Mr Wahl, you are one of the original signatories of the petition “Film Heritage in Danger”, which called for 500 million euros to save the German film heritage. That was in 2013. Has the situation fundamentally improved since then? It’s encouraging, to begin with, that already since about 2011 there’s been a public discussion about the film heritage and so also a political discussion of the subject. What has come about thanks to this is a basis upon which fundamental improvements are at least conceivable. The “Cost Estimate for the Digital Preservation of the Cinematic Heritage”, presented in 2015 by the consulting firm PricewaterhouseCoopers (PWC), confirmed the required sum of 500 million euros. In response to the report there is now talk of an initial ten-year funding of ten million per year by the federal government, the states and the FFA. More to the point, however, would be a fundamental increase in the budget; projects grants in the area of securing the cultural heritage are an absurd endeavour. Where at present do you see the greatest need for action? The report is based on about 48,000 full-length films of ninety minutes – short films were converted into long ones for the purposes of calculation. This, however, covers only the archives that belong to or are associated with the Cinematheque Association. Many of the materials stored there are for various reasons now reaching their natural age limit. At the same time, we’re witnessing the replacement of analogue by digital technologies – for example, in the field of cinema. It’s necessary to scan films and digitalize them if they’re to remain showable, whether in the cinema, on DVD or on the internet. But because of this dual challenge, the discussion has often confounded the making accessible of the film heritage with long-term back-up, that is, “saving”. Although analogue materials don’t last forever, they are generally more reliable than digitalized ones for archiving. Analogue materials are in such a precarious state because for most of the time they haven’t been safe in archives but exposed to unfavourable climatic conditions. Today, in an ideal climate (temperature, air moisture), analogue materials keep for hundreds of years. Whether in the long-term digital data can match analogue is still altogether unclear. Unfortunately, public attention and all additionally approved funding focuses exclusively on the digitalization of the film heritage for purposes of making it showable. The assumption that this automatically also ensures its long-term storage is simply wrong. The discussion currently concerns not only money but also the criteria for the selection of films that should be given priority in digitalization. Which strategy in your view is the right one? The now accepted proposal of the Cinematheque Association is, in my eyes, not so bad: one third of the films to be digitalized should be chosen for commercial reasons (still worth showing in cinemas), one third for reasons of conservation (acute decay), and one third for curatorial reasons (importance for the film heritage). I’m bothered by something completely different: the true potential of digitalization goes far beyond merely making films available and actually lies elsewhere. The right key terms here would be: participating and contextualizing. The first concerns selection: why not allow many more people to take part, in an appropriate online form, in the decision-taking process that leads the canonization of the film heritage? I fear the younger generation will simply no longer be interested in this subject if we fail to integrate them better in the process. This is also a question of transparency. The second concern is making films available for showing: it’s not enough to put old movies on the net; you also have to digitalize accompanying material and link the latter to the former. Film history has to be worked up. For this I can see no strategy at present. Today there are fewer and fewer cinemas that are technically able to show a 35 mm copy. Does it in your view make sense to preserve the old copies even after a possible digitalization? In the past any serious film archive would have been riled if analogue material were destroyed after a transferal – because every copying process means a loss of quality and because the possibilities of transferal are constantly improving. This also applies to processes of digitalization. Especially in terms of colour, the original materials are unique reference pieces. Many film rolls also contain information outside the actual image field that is valuable for understanding the context and usually gets lost in digitalization. Films aren’t just entertainment or art; they’re also historical sources. Not only the content but also the material history is important. This applies to all films. 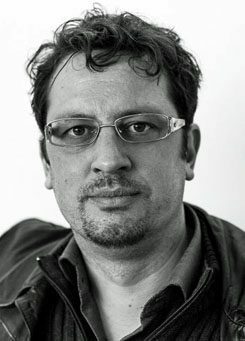 Since 2013 the film scholar Chris Wahl has been DFB Heisenberg Professor for Audio-Visual Cultural Heritage at the Konrad Wolf Film University Babelsberg and head of the DFG project Regionale Filmkultur in Brandenburg (i.e. Regional Film Culture in Brandenburg). works as a freelance journalist and historian. He is a lecturer at the University of Leipzig and a research associate at the Hannah-Arendt Institute in Dresden. Copyright: Text: Goethe-Institut, Andreas Kötzing. This work is licensed under a Creative Commons Attribution – Share Alike 3.0 Germany license.